So you want to go on an outdoor adventure and you want to do it right. You’ve assembled some gear, you’ve done your research and you’ve bought yourself a personal first aid kit. Well, I hate to be the one to burst your bubble but, that little kit you just purchased from Walmart is most likely pretty useless. There are a lot of dinky first aid kits out there that are just saturated with bandaids in a few different sizes, some alcahol wipes, and maybe some burn ointment or something thrown in for good measure. But in all honesty, band-aids are pretty useless, and the first-aid situations that hikers most often encounter require different supplies. Thats why it’s important to learn to assemble one for yourself. So keep reading to find out exactly how to build a first aid kit for the trail. Do you have to start from scratch? Okay, okay. I know I was bagging on store bought first aid kits earlier but I will grant that there are useful kits out there. So the answer is no, you don’t have to start from scratch and purchase every single item speratley, although that is certainly a viable option. You can’t just pick the first one you come across, however! You have to know how to choose a good one. And it’s not just ‘buy it and forget about it’ either. Most of the time you will need to supplement your purchased first aid kit with additional items. There are different benefits both to buying and building. Buying a first aid kit can save you time. As long as you purchase a good kit, you probably won’t have to track down any of the basics seperatley. However, commercial kits can be heavier than you might like, especially if you’re embarking on a thru-hike or long backpacking trip. Whereas building a first-aid-kit from the ground up allows you to customize it specifically to YOUR needs. Make it the perfect size for you, and build it based on your personal needs and the environmental conditions where you do your adventuring. Building your own kit also helps you to know exactly what’s in it and how much. This will help you keep track of what you use, and what you need to resupply as well as avoid the common problem of having too much of something you don’t need, and not enough of something you do need. The features of the bag or pouch that you store your kit in are important. It should be water resistant to prevent damage to your emergency medical gear from the elements. And, if you are a frequent two-foot traveller, your bag should be durable. It’s also important to think about how the bag is compartmentalized. You may want several pockets that can partition different items by their use. The easier it is to find the item you need the better. There’s nothing worse than having to dump everything out of your bag just to find the one item you were looking for. Using a sack that is somewhat transparent also takes care of this problem. Your first aid kit should not be too large because you want to be able to carry it with you on your adventures. I won’t give you a specific size benchmark because everyone has different goals and preferences when it comes to what they are willing to carry. If you’re partial to long backpacking trips or thru-hiking than you know more than most, how important it is to be extremely frugal with weight. In this case, a large commercial first aid kit definitely won’t do. You will likely wish to assemble your own kit and take only what you really need with you. This can help you cut out a lot of unnecessary weight. Leukotape – If you only carry one bandage material with you make it something like this. Leukotape is super sticky and can be cut and used to cover blisters or small to large cuts. Assorted pills – ibuprofen, allergy pills, Pepto-bismal, anti-diarrheal, and any prescription medication you need. In an emergency situation, this short list is automatically supplemented by any other item that you have with you or can find in the wilderness that can be converted into first aid supplies. Think strips of clothing for bandages or, a stick for a splint, your sleeping bag for padding, a multi-tool or anything else. Remember that the goal with any serious wilderness first aid situation is to enable you to get back to civilization and seek real treatment. Obviously leaving anything out of your first aid kit is a risk, but so is getting out of bed in the morning. What you include and what you leave out, all depend on your personal risk tolerance. Think carefully about the situations that you’re likely to get into and what you will need if you do. Please understand that there is no way to treat every possible scenario in the backcountry. Some serious injuries cannot be treated without getting to a hospital. And in these situations, you do what you can, and wait for rescue. There’s no sense in trying to bring the hospital with you. With any luck, you won’t have to treat anything worse than blisters, small cuts, and insect bites! If you have any questions or comments please leave them below. Let us know what you carry in your first aid kit or how you may have used something unconventional to treat an injury. We’d love to hear all your stories. Now get out there, be safe and be adventurous! Me and my friends always do crazy adventurous stuff. Whenever we go out, one of us always carries a survival kit with us. This article explains the importance of having one with us, and I’m glad that we have already been doing that. But, after reading this article, I realized that I don’t actually know what is inside our kit. I’m going to check it now and make sure that everything is actually usable and useful. I’m going to do this as soon as possible because no matter how much we don’t like to imagine it, we may actually need to use our first aid kit one day. Glad I could be of some help! If you are interested in survival kits beyond just a first aid kit, check out this article: Survival Essentials List – Preparation is the Antidote to Disaster. I think you will enjoy it. This is a very good piece of advice. If I hadn’t read through your article I would not have thought of being so careful about what I carry in a first aid kit. I would have simply bought one straight from a shop and never known that I might just have a very useless kit. That could be a real disaster if you get seriously injured and then all you have in your first aid kit is 3 sizes of band-aids ha ha. it’s always good to learn new things and you have taught me a very important lesson! Hi Charles! Glad my article helped you learn something new! Thanks for this information. A first aid kit is not something people should take for granted. Truly, every home and family should have a good first aid kit built with all the necessary stuff. But I had never really thought that I may need one when I go hiking. Now it seems obvious to me that it’s a good idea to take a first aid kit along traveling or going on vacation. Nobody wants an accident to happen but we must be prepared to handle it, especially if we are in an area where it might take longer to get any medical help. I’m glad this article helped you recognize the importance of a first aid kit! While I am not much of a backcountry hiker or outdoorsman, I have purchased my fair share of store bought first aid kits thinking I was doing the responsible thing, but ultimately comeing to the same conclusion as you. The packaging always looked fine, and usually with a red bag adorened with a white cross to provide an allusion of safety. However, it seems to usually be like you said in your post, basically a bunch of bandaid sizes and maybe some antibacterial ointment. Having gone through your post, I now believe the prudent thing to do is take your checklist to the store and build a solid first aid kit in the event my family ever needs one. Thank you for brining this information to light. I’m glad you were able to learn some things from my article. Remember that the advice here is geared toward first-aid-kits that people will carry with them while hiking. Because of that, space is at a premium. If you are building a kit that you will keep in your house or car it is definitely ok to include more than the bare minimum. Although the same concept applies, know how to use everything in it! Best of luck. This is a great idea. It’s strange how we all buy a first aid kit and find that most of the stuff inside is not really what you are in need of – but we leave it in there anyway and lug it all around, the simple idea of creating your own kit is so simple, yet not at all obvious to me! My next camping outing I will definitely be revisiting my 1st Aid kit – will also do the same in my car kit as it is stuffed with useless bits. Do you by any chance recommend to cut your own plasters from a roll, or just have separate different sized ones? I had to google plasters to understand what you mean, as I have never heard them called that before. 🙂 It’s more space efficient and versatile if you just cut your own. Small bandages like the assorted kind you buy in a box are not actually very useful for anything beyond very small cuts. But it all depends on what you find the most useful. If you see yourself needing both and are ok with the weight, then, by all means, bring both. I would say feel free to leave most everything in your car kit since space and weight is not really an issue there. Hiking is a passion that is gaining more and more attention in recent years. And safety has to come first. I really enjoyed your post about how to build a first aid kit. This is very useful information for all adventurers including myself. I think that it is the most important aspect that you need to think about when planning to venture. And the way you structured such a volume of information makes things look so easy. Looking for your next post! So glad you enjoyed it Raluca! Of course, ideally we would never need to use our first aid kits at all, but we should always be prepared anyway! Yeah I’m afraid I’m one of those hikers that purchases first aid kits from Home Bargains…something I won’t be doing again after reading this article! My feelings after reading the whole article is that it probably would be better to start from scratch and purchase all the items separately – at least then you’ll know you have a kit that will last over the years and be ready for ANY situation. Do you agree? It all depends on what you’re going for Chris. If your aim is to assemble an Ultralite kit with only the bare essentials, I think the only way to go is to start from scratch. If you’re looking to create a kit that is larger with a greater variety of items, you may want to start by buying a kit and then adding and removing items as needed. Hope that helps! Thanks for sharing this very useful information. I have always thought that first aid kits must be bought, never did I imagine making one. 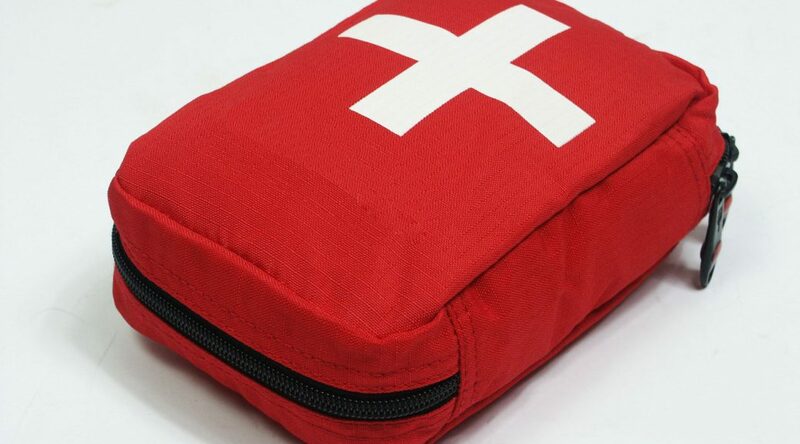 Making a first aid kit might require a bit of medical knowledge or safety skills to enable one to know the exact supplies to purchase for your kit. That being said, I also think that following a list like the one in this article can be a perfect guide for one’s first aid purchase. This is a great writeup, using first aid kits with no idea what’s inside could be funny sometimes unless you belong to the red cross. Most importantly, you should know how to apply the first aid kit. I once used a bandage instead of a plaster during an emergency which resulted in wastage. I knew nothing about first aid then and usually freak out at the sight of blood. 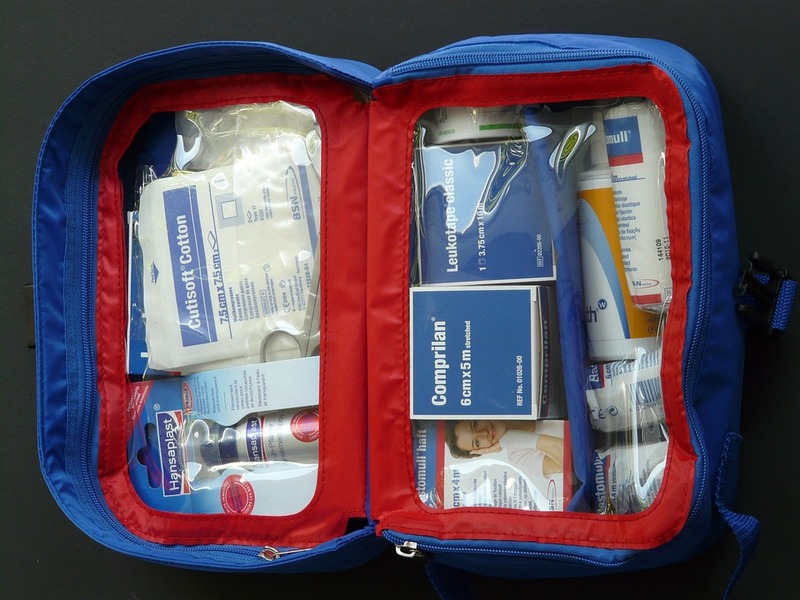 If you don’t take stock of what is in your kit then you could end up on a trip and unable to find something you need like painkillers or something. Hopefully, we can all take your advice to heart and inventory our kits. Thanks for this, really helpful. Hi! Even if you belong to the Red Cross, you should know what is in your first aid kit. If you are given a first aid kit by an individual or organization you should open it up and inventory what’s inside. Then you can decide if you need to add anything or perhaps remove some items. You simply hit the nail directly on its head with this post. A first aid kit is just another useless piece of gear if the owner does not know how to use it appropriately. We need to be cognizant of what we add into the box because a useless kit is nothing but extra load. I have learned something here despite being a member of Red Cross. Hi there! I’m glad you learned something!